Search Engine Optimization (SEO) should be a familiar term to any small business owner with a website. Very simply, it is the process of crafting website content that will be highly visible in search engine results lists (“free” or “organic” search) for keywords or phrases related to your business, in order to drive qualified visitors (those likely to purchase your products and services) to your website. This entails having at least a basic understanding of how search engine algorithms (the logic used to generate the list of results presented in response to a given search) work, and the factors that will cause one webpage to be listed above another. SEO’s power as a marketing tool stems from being able to reach prospective customers at the very moment they are looking for information about the products and services you offer. Additionally, unlike paid keyword search advertising where big companies with big budgets can price small competitors out of popular keywords, a well-executed SEO campaign can place even the smallest company on a level playing field with its larger competitors. If you’re new to SEO, a great place to start learning is the Search Engine Land What is SEO? Page. You can watch the short introductory video, then explore the Periodic Table of SEO Success Factors infographic and the associated 9-part Guide to SEO which runs you through all the basics. Forget About It: If just the sight of the word “algorithm” gives you nightmares about high-school math classes, you might be tempted to simply ignore SEO and hope that your website will generate traffic without it. However, before completely giving up, read SEO Strategies for People that Hate SEO. It provides 5 non-technical tips for helping your website content rank well. Do the Basics: If you want to make sure that you are putting your best foot forward, but really don’t want to get bogged down in the minutiae of extensive research and statistical tracking, try taking the path advised in the Entrepeneur.com post Simplify Your SEO Program With These 5 Strategies. The tips are designed to help you keep your site ranking well regardless of the many changes that are constantly being made to the search algorithms. Become an SEO Geek: If you live for the long-tail and truly understand why the Google Penguin release changed everything by designing to eliminate search spam, and why its Hummingbird release means to deliver results based on search context instead of simply keywords, then embracing SEO can do wonders for your small business. Understanding how Google “thinks” is likely key to your strategy. Linking the Google Way in 2014 provides helpful insights by looking at the SEO tactics used by sites funded by Google Ventures (Google’s Venture Capital Arm). Outsource: If you understand the importance of a robust SEO strategy, but just don’t have the time, skill, or resources to do it yourself, outsourcing is a viable option. 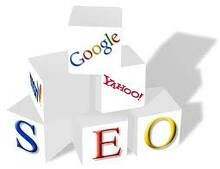 And, there are certainly a large number of great SEO firms and solo-practitioners who can do the job for you. But, be warned that there are also lots of SEO scams as well, in fact, you’ve probably received their poorly worded SPAM email offerings. This Smallbiz Technology post, SEO Experts: 5 Questions To Ask To Spot Who’s Legit and Who’s Taking You For a Ride, provides the advice you need to pick a reputable service provider. Remember that in order for your customers and prospects to benefit from all your great website content they need to find it first. So whatever path you choose, be sure to make SEO an integral part of creating and maintaining your small business website.